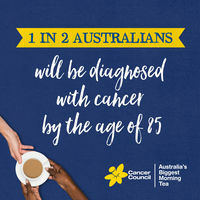 Did you know 1 in 2 Australians will be diagnosed with cancer by the time they are twenty-five? Cancer is a prevailent disease amongst our community. Everyone has been touched by cancer in some way, whether it is personally or through friends or family. The Cancer Council works tirelessly to raise funds to support cancer research, prevention and support services. 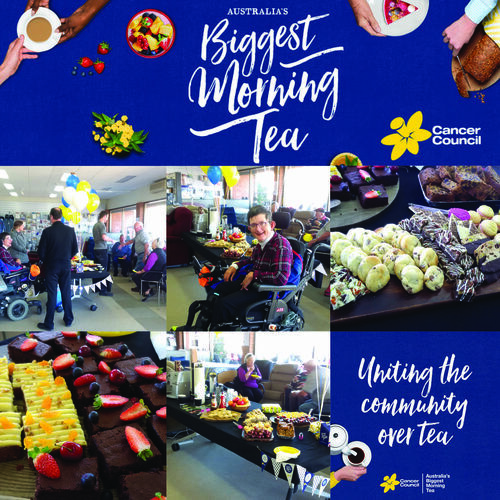 One of the many events run by the Cancer Council is the annual Biggest Morning Tea, becoming increasingly recognized with each year it is held. This event is hosted by many businesses and groups across Australia every year. Access Rehab was pleased to once again host the Biggest Morning Tea on Thursday 25th May. We invited the community in to raise their cup to show their support. Together we had an amazing morning tea which raised $181.20! Thank you to all those who joined us and showed their support!